Nick Passey, more commonly known as ‘NP,’ is a local, acoustic act with a background comprising many different experiences and genres. 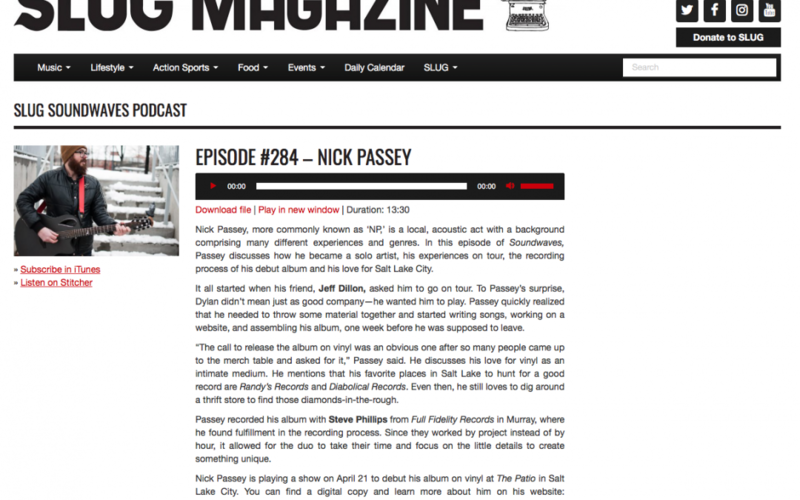 In this episode of Soundwaves, Passey discusses how he became a solo artist, his experiences on tour, the recording process of his debut album and his love for Salt Lake City. It all started when his friend, Jeff Dillon, asked him to go on tour. To Passey’s surprise, Dillon didn’t mean just as good company—he wanted him to play. Passey quickly realized that he needed to throw some material together and started writing songs, working on a website, and assembling his album, one week before he was supposed to leave.